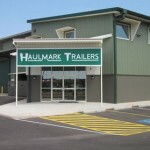 Haulmark Trailers ( Australia ) Pty Ltd is a privately owned Australian company that was established in 1963 now with its Head Office and major manufacturing facility based in Rocklea , Brisbane. Haulmark has built an enviable reputation as a high quality designer and manufacturer of road transport equipment . 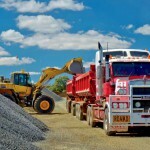 Although Haulmark equipment operates all over Australia , undoubtedly the Haulmark name is synonymous with the harsh operating conditions of the road train areas of Queensland , Northern Territory and Western Australia. Haulmark Trailers manufacture a diverse range of trailers for the transport industry with significant penetration in the livestock , earthmoving, mining, construction and general freight sectors. Due to our specialized manufacturing facilities we are able to custom build trailers for highly specialized transport tasks . We are able to design and deliver a very high quality trailer for our clients that can maximize their transport efficiency whilst also minimising the trailers whole of life operating cost . Just as the Road Transport Industry has matured and become more sophisticated over the last 50 years , so to has Haulmark. 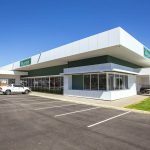 Employing in excess of 250 people and having branches in Brisbane and Darwin Haulmark Trailers has positioned itself as a high quality specialist manufacturer and repairer. In 1998 Haulmark established a highly specialized Tanker and Dangerous Goods division that caters to the manufacture , modification and repair of equipment for the Fuel and Dangerous Goods industry . Highly sophisticated on site testing and manufacturing facilities have been built to service a growing customer base that demands not only a very stringent compliant work environment but also products and services that must meet a very high standard of compliance and reliability. Given that Haulmarks strong and diverse customer base is scattered all around Australia , many in quite remote areas , Haulmark is very committed in supporting our customers by ensuring we maintain a very comprehensive spare parts inventory in order to provide reliability and appropriate product support. 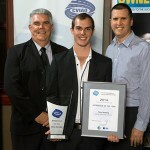 Haulmark Trailers ( Australia ) actively supports the Road Transport industry in many ways through representation on a number of National and State Industry associations , operator working groups and various high level government bodies. Through this ongoing commitment to the Road Transport Industry we are able to play a part in bringing about reforms that ultimately assist in the long term viability of the Road Transport Industry.